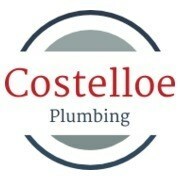 Costelloe Plumbing - Plumber based in Waltham Abbey, Essex. I'm Stephen Costelloe, I have over 10 years' experience in all aspects of plumbing. I pride myself on delivering a first class service at all times, ensuring each and every customer is happy at the end of every job I complete. if you have any queries regarding the works listed above or anything else please feel free to contact me and we can discuss any requirements you may have.